Although I don’t particularly like the term world cinema, which in its current operation seems to represent any cinema that comes from outside Hollywood or isn’t English-language based, it is a starting point to think about the current state of 3D cinema. With the digital era of 3D cinema firmly ensconced, it is rare for a week to pass in which there isn’t a 3D film in the local multiplex and the new breed of quality movie-theatres – not quite art house but not the multiplex either – are increasingly equipped with 3D screens. Yet for all that exhibition sites have increased, in the English-speaking world at least, it’s the Hollywood film that dominates 3D screens. Over the past few years there has been a flurry of non-Hollywood 3D films including respected art house titles such as Pina (2011), Cave of Forgotten Dreams (2011), Hara-Kiri (2011), TT3D: Closer to the Edge (2011) and Goodbye to Language 3D (2014) but their release has been restricted to limited runs, often only through the film festival circuit. In a recent lecture, William Brown made the case for the development of more of these films, suggesting that the fast paced editing and explosive effects in many 3D blockbusters are unsuited to a stereoscopic visuality that needs time and space to expand in front of the viewer. We are also still in a relatively nascent stage of digital stereoscopic experimentation during which Hollywood films are closely policed for any material that might disrupt the viewing experience or depart from a close adherence to ‘story’. Films outside this system may be best placed to push the limits of what we think can be achieved by stereoscopic constructions of space and vision, as evidenced by Godard’s recent play with 3D technology. As two 3D films (both screened as part of the New Zealand International Film Festival) show, non-Hollywood cinema offers an exciting arena to advance 3D cinema but the success of films in this arena depends on the way in which they use the stereoscopic technologies available to them. 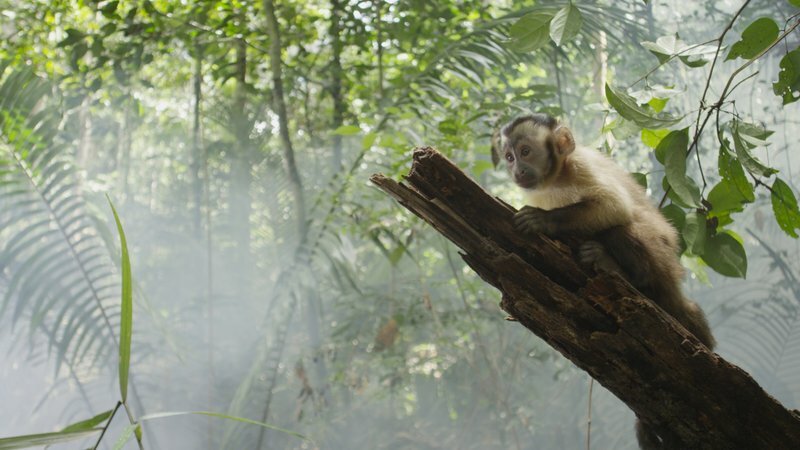 The first film, Amazonia 3D (2013) was shot as a Brazilian-French co-production over three years on location in the Amazon region of Brazil. The second film, The Young and Prodigious T.S. 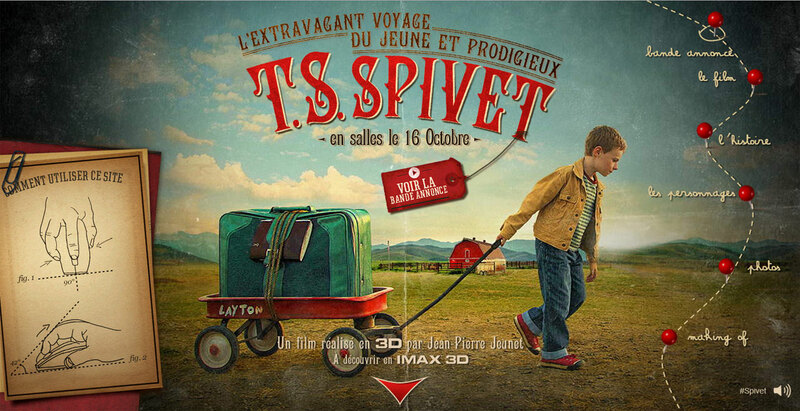 Spivet (2013) is a French-Canadian coproduction set in the US. Both have French directors and both have undertaken a slow distribution route around the film festival circuit. In many ways Amazonia 3D seems to have the perfect subject matter for 3D cinema. As the IMAX documentaries that maintained 3D cinema throughout the 1990s and early 2000s demonstrated, the natural world is a fruitful area for stereoscopic exploration. Enhanced depth fields can pick out aspects of landscapes that we can only dream of visiting while negative parallax placement can seem to bring us within touching distance of animals, fish and insects that we could never possibly get close to. Amazonia 3D exploits these desires through a fictional narrative that follows a Brazilian monkey’s journey through the Amazon rainforest. Its depiction of lush vegetation is familiar and we have already seen its opening images – aerial shots high above the jungle canopy – in commercially released 3D films, particularly Avatar (2009), Sanctum (2011) and Godzilla (2014). In these shots, and many others throughout the film, the focus is on positioning objects in positive parallax space, inside the frame provided by the borders of the cinema screen. This use of conservative parallax placement adheres to a policy that (while diminishing slightly in recent 3D releases) advocates receding constructions of depth rather than auditorium invasions. Throughout Amazonia 3D, we are given access to complex landscapes and rich textures, presented in foliage, lizards, jungle animals, birds and majestic trees but these are often either placed at a distance from us or extensive use of shallow focus flattens them out. There are only a few shots, for example when we see shafts of light streaming through the trees and the cameras seem able to pick up the floating daily mist, that provide us with the sense of thicker tactile viewing fields. Ironically, the most interesting use of stereoscopic visuality in this film is not when the Amazon landscapes are made to look more realistic but when they are pushed askew in a scene during which the monkey seems to hallucinate. His new vision of the world is shown to offer a palimpsest layering of objects that make depth relations in the visual field far more intriguing. 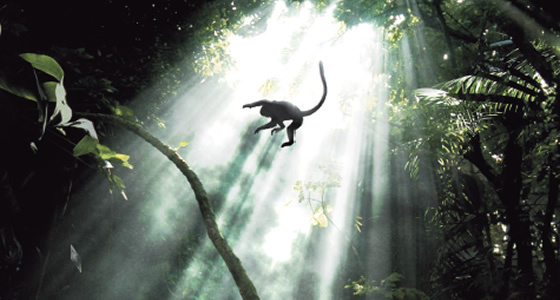 In contrast to the conservative use of stereoscopic filming techniques in Amazonia 3D, The Young and Prodigious T.S. 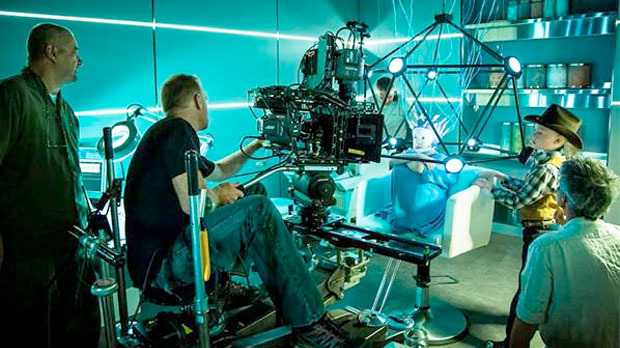 Spivet expands its depth budget far beyond many commercial 3D films. It signals at the very beginning of the film that it is more concerned with a presentational mode of visual being than a faithful capture of reality. The opening image of the film is the display of a pop-up book which caricatures some of the characters and events that will take place and each ‘chapter’ in the film is bookended by a similar pop-up book. The use of a pop-up book nods to one of the criticisms aimed at 3D cinema, that it produces what David Bordwell suggests is a “coulisse effect” where “the planes we see look like like cardboard cutouts or the fake sections of theatre sets we call flats or wings (coulisses).” Rather than be afraid of this criticism, The Young and Prodigious T.S. 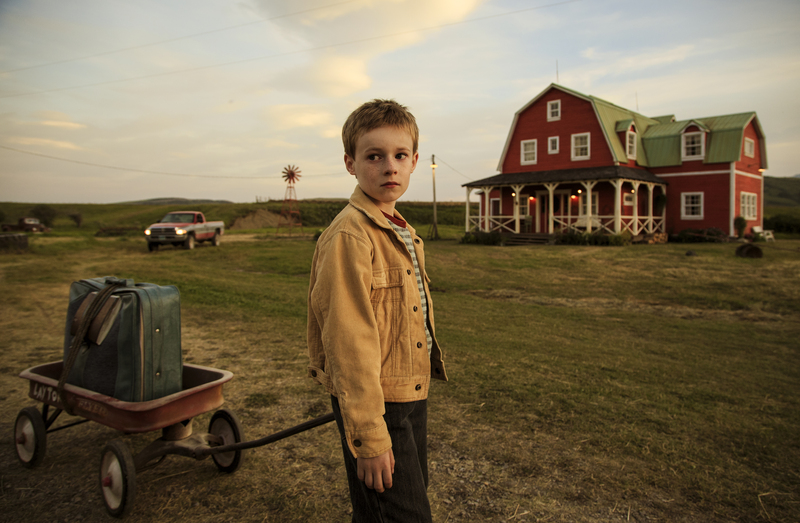 Spivet folds it into its display of visual wonder. However, for all that the film revels in the way that it is able to create distinct planes of stereoscopic depth, it also proves that it can provide continuance along the z-axis. In an early shot in the film we are able to see every stalk of grass in the foreground while the hills in the background have their own dominating presence. The stalks of grass do not line up along a frontal plane but rather form part of a detailed landscape that recedes away from us along its own curves. Later in the film, various close-ups on characters’ faces take place and they not only bulge into negative parallax space but also make it clear that they are not operating on flat planes. In its development of a story about a young, precocious, inventor named T.S. Spivet who departs on a journey to present his work at the Smithsonian, The Young and Prodigious T.S. Spivet presents itself as a showy cinema, one in which the plot is frequently illustrated by voice-over, direct address to the cameras, diagrams and drawings superimposed onto shots and cutaways to aspects of T.S. Spivet’s imagination. It is a film that has left any possible presentation of reality behind and instead deals in hyper-reality. Stereoscopy supports this hyper-reality by using depth configurations to modify and expands aspects of the visual field, particularly through the extension of objects into the realm of the auditorium. It is this hyper-reality that I want to argue is one of the most effective ways to use stereoscopic visuality. Rather than becoming encumbered with trying to make 3D cinema as realistic as possible, the hyper-realist production acknowledges that 3D cinema is only ever one way of presenting visual fields and that one of the most interesting things that we can do is play with the permutations of that presentation. It would be unfair of me to suggest that The Young and Prodigious T.S. Spivet ‘gets it right’ while Amazonia 3D is unsuccessful as a 3D film. There is much pleasure to be found in each film and audience members will have their own reactions to the different uses of stereoscopic depth. However I would like to signal that The Young and Prodigious T.S. Spivet offers a better example of the type of stereoscopic experimentation that can take place outside of Hollywood.